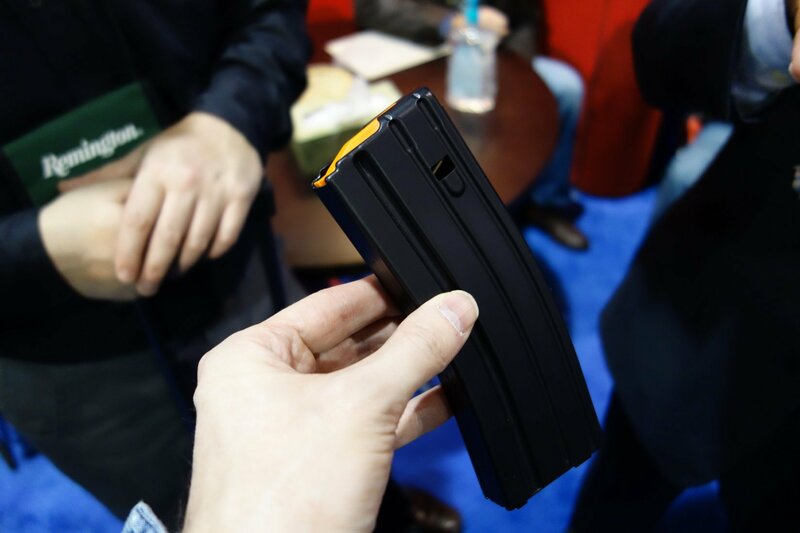 C Products Defense (CPD) Stainless Steel 30-Round AR-15 Magazine with Anti-Tilt Follower and Carbon Coating: Super-Durable 5.56mm AR Mag Makes its Debut (Video!) | DefenseReview.com (DR): An online tactical technology and military defense technology magazine with particular focus on the latest and greatest tactical firearms news (tactical gun news), tactical gear news and tactical shooting news. All photo and video content contained in this article were shot by DefenseReview.com, and are copyrighted. DefenseReview.com owns the copyright on all photo and video content. The photos and videos were shot with a Sony Cyber-shot RX100 (DSC-RX100/B) Digital Camera with 20.2 MP (20.2-megapixel) still camera and 1080p HD video camera capability. 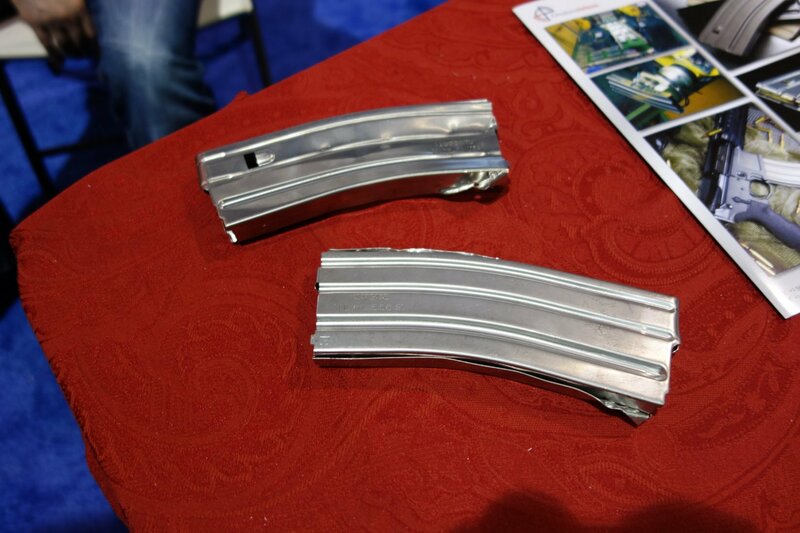 Believe it or not, one DefenseReview's (DR) favorite new products at SHOT Show 2013 was a new 30-round 5.56mm NATO/.223 Rem. 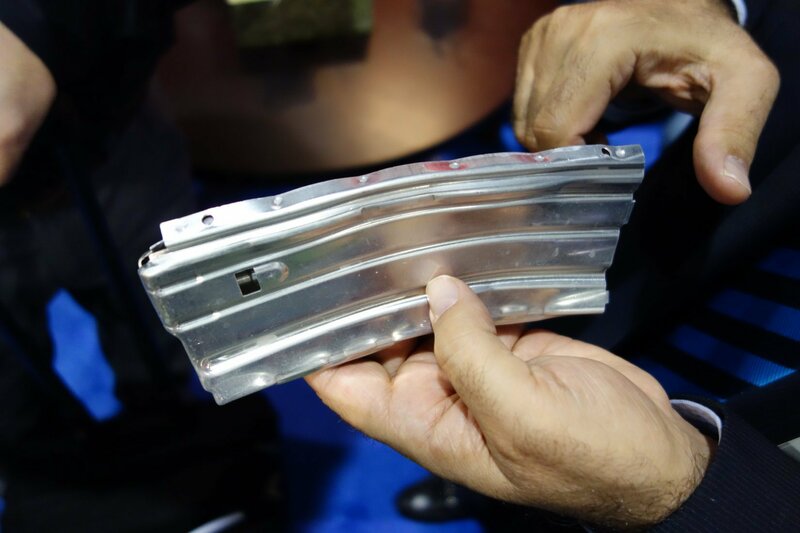 AR mag (AR-15 magazine, 4179 STANAG) being made by C Products Defense (CPD). The name may sound familiar, and this new stainless steel magazine may look familiar, but this is a brand new company and brand new magazine/product. 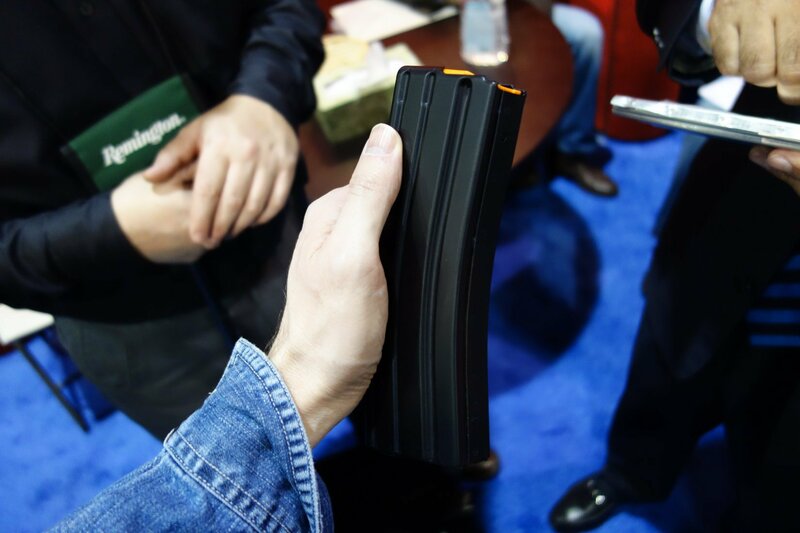 From what we learned at the show, the new mag is significantly superior to its predecessor in both design and quality control. Like a Phoenix rising from the ashes, the new C Products Defense is a completely new company under new ownership. According to them, the reason the new magazine is night-and-day superior to the old magazine by the old company is the new company's quest to make a magazine that's functionally and qualitatively perfect–and they believe they've achieved just that. The new CPD stainless steel AR mag, clinically called the CPD 30 RD .223/5.56 SS, looks on the surface to be a very high quality product. It's made from 400 series stainless steel, utilizes a "MILSPEC" stainless steel magazine spring, features an in-house-developed anti-tilt follower, is finished with a special scratch-resistant carbon finish (on the mag housing/body), and is, according to the company, virtually indestructable. DR witnessed one of the company reps running a knife blade across magazine with no real damage to even the finish, let alone the magazine housing. 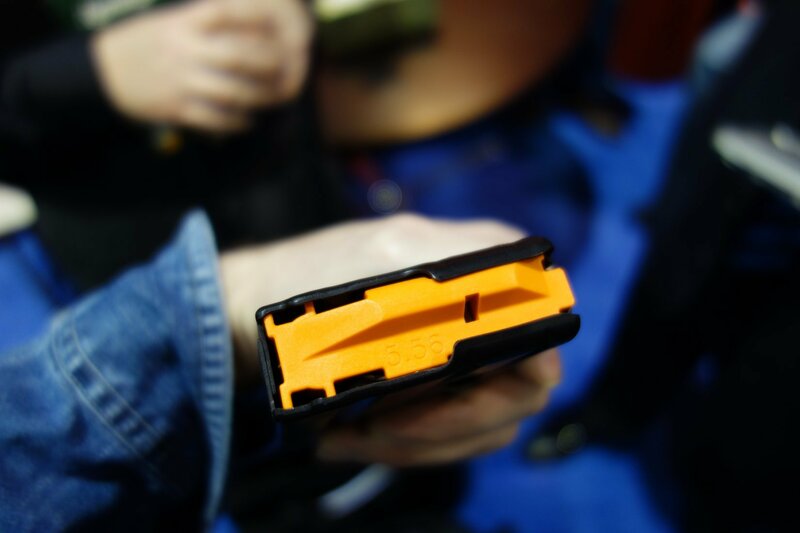 We're not saying that scratches can't occur or damage can't be done to the finish or magazine housing, but it's a pretty darn tough mag. 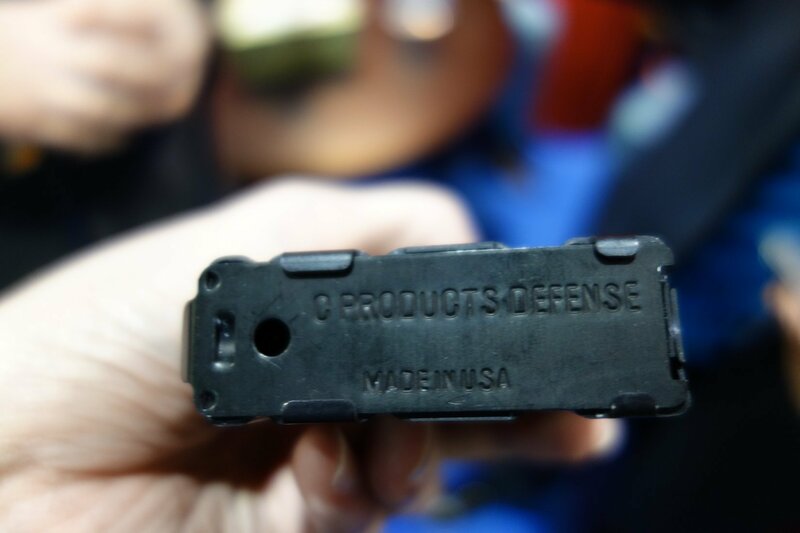 C Products Defense CEO Adel Jamil told DR that the CPD stainless steel AR Mag is GTG (Good-To-Go), as in totally reliable and durable and essentially "bulletproof". If he's correct and the hype on the new mag is true, the CPD stainless steel AR mag will become Defense Review's first choice in a 30-round metal AR mag. 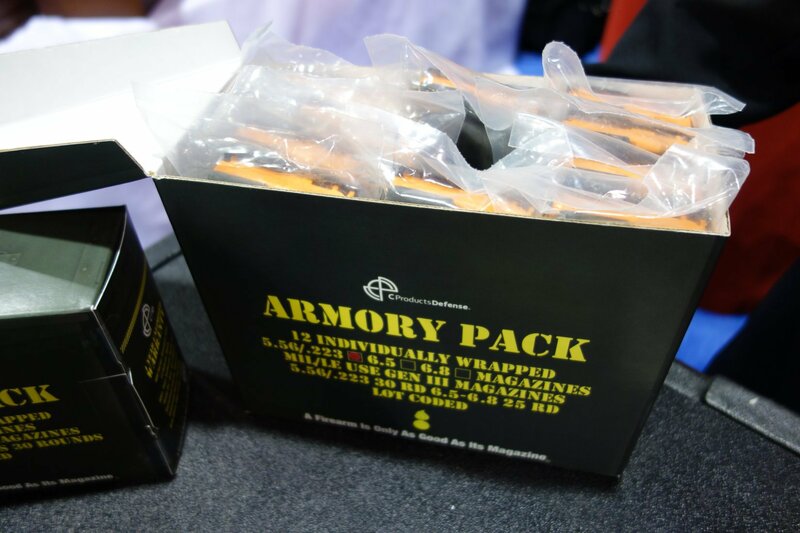 Currently, our favorite 30-round polymer AR mag (and favorite 30-rounder, overall) is the excellent Lancer L5 Advanced Warfighter Magazine (AWG) translucent polymer magazine, since it's reliable, durable AND translucent (see-through). That's a tough combo to beat. That written, DR is very enthusiastic about a having a reliable and durable metal AR-15 magazine at our disposal, as well. While the CPD 30-RD .223/5.56 SS 5.56mm stainless steel AR mag isn't translucent, since it's metal, it should be impervious to extreme environmental conditions (cold and heat) and solvents, with which some polymer AR mags on the market can have problems. CPD had a number of destruction-test magazines on-hand at their booth at SHOT Show that had gone through crush testing and "pry testing", where the magazines' welds (via robotic welding) and overal strength had been put through grueling destruction/strength-testing (specifically crush testing and pry testing) with sledge hammers and plyers. Apparently, it took plyers to actually breach the welds. These destruction-test samples were illuminating, and demonstrated just how tough these new mags are, and how well they're built. All of the brand new CPD stainless steel mags DR saw at the booth looked great, so we're really looking forward to running them at the range if/when we can get our hands on some. DefenseReview sincerely hopes the new CPD stainless steel mags live up to the hype and perform as advertised. We're cautiously (very) optimistic. Anecdotally, we weren't the only ones interested in the CPD SS mag. 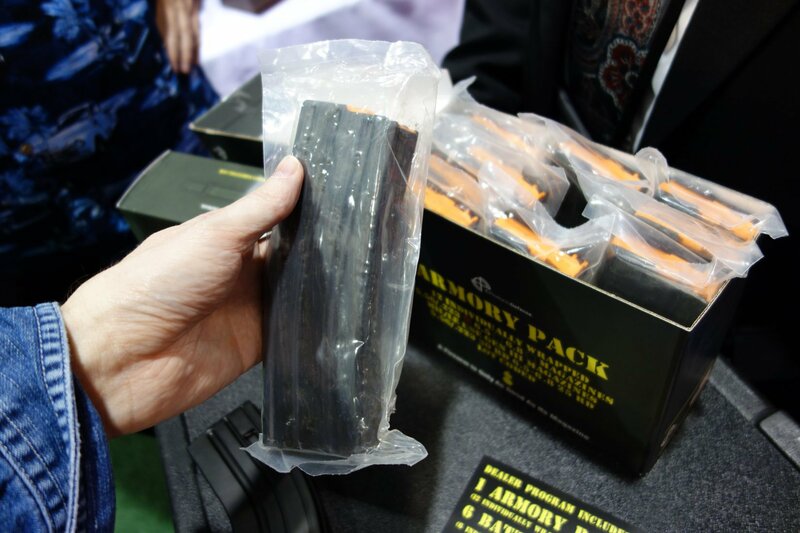 Everyone with whom we spoke about at the show (who'd seen it) appeared to be impressed with the looks of the product, including a management-level employee of a major firearms manufacturer who happened to stop by the CPD booth (and stick around for awhile) while DR was there. 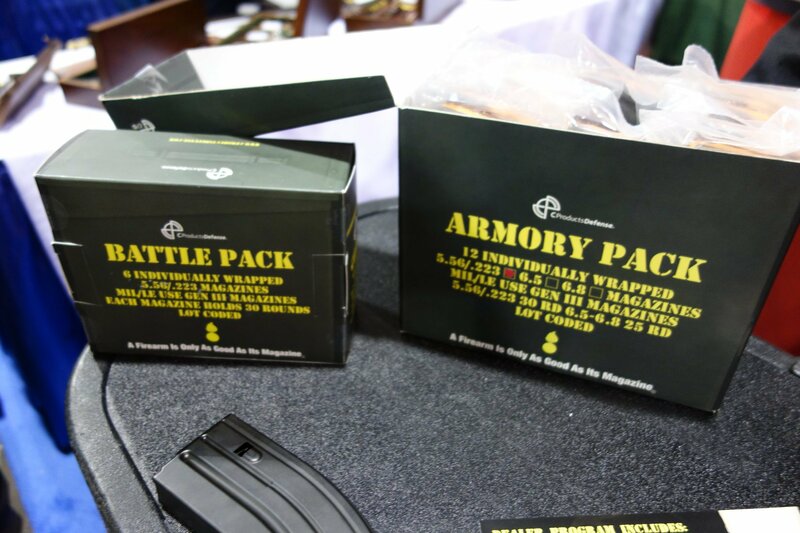 The the CPD 30-RD .223/5.56 SS 5.56mm stainless steel AR mags are available individually, and in 6-packs (CPD Battle Pack) and 12-packs (CPD Armory Pack). 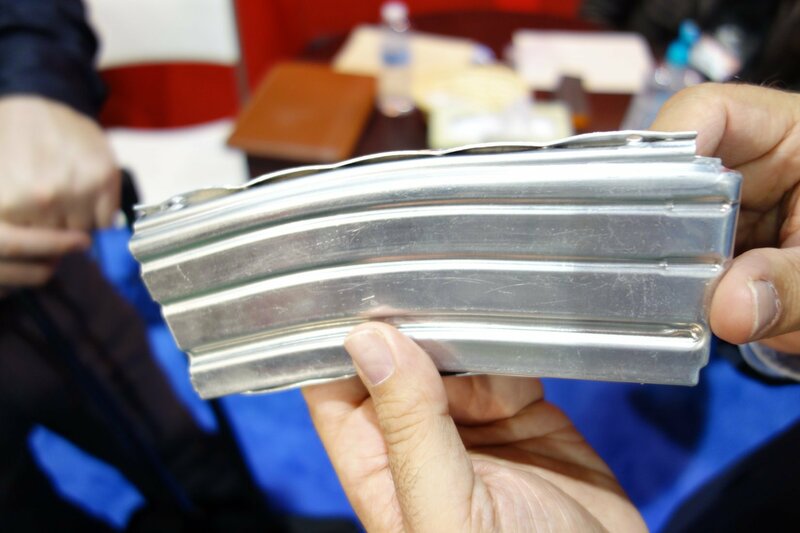 By the way, C Products Defense is also offering a 30-round aluminum AR mag called the 30 RD .223/5.56 AL, apparently, so DR is curious as to how that mag stacks up to the stainless steel version in reliability, durability, strength and weight. Finally, on a personal note, Mr. Jamil came across as a very nice man who's very proud of, and passionate about, his product(s). We like and appreciate that. Next: Gen-2 Lancer Systems L5 Translucent Advanced Warfighter Magazine (AWM): Truly-Translucent Polymer 30-Round AR-15 Rifle/Carbine/SBR Mag!